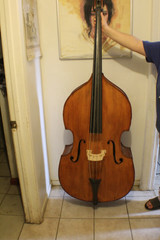 Hi, thanks everyone for your input, I recently got a 3/4 bass and I'm VERY new to this. I'm not sure what I have. I'm a little worried because I think it might be cracked. 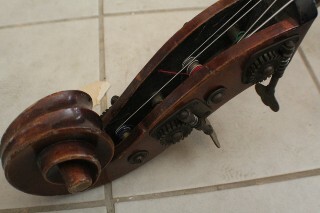 Should I take it into a luthier to be fixed or am I being ridiculous? 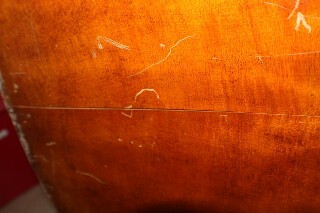 The one on the back is the biggest worry, but ones on the front feel like they might have been filled in does that mean they've been cracked before and then fixed? Is that something I should worry about? We were told it's German but there's no paperwork or anything like that and no stickers on the inside. 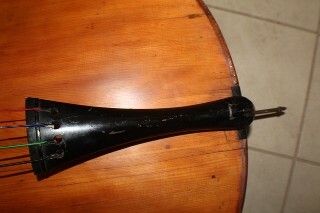 I can't find any stamps or names to identify it. Last edited by Morgan DeVoe; 02-11-2018 at 08:11 PM. Reason: Fixing pictures sorry! REDUCE the pics.. They are 4 screens wide!.. "I'm not sure what I have." Really, would you but a car like that knowing nothing? Please reduce your pics and use [img] [/img] with the links in-between and they will show that way. I can blow them up but I can't see something that is pressing my eyeballs. Hi sorry about that! Hopefully they are less exploding now. The reason I picked it up with so little information was because it was really really cheap and from a friend who I trust. Thanks for your help I really appreciate it. 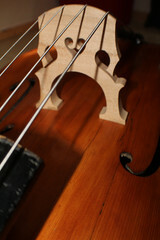 Well, I think the neck is beech and has been broken. With neck graft, FB and bridge, 4-5k fix. 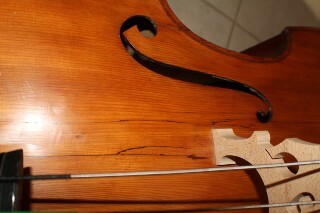 The varnish looks stripped. 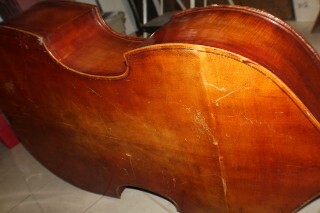 Basses like this usually run more to fix than they are worth. 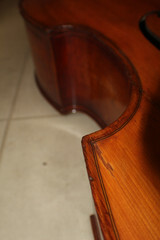 If if fully restored, some things will never be like it was originally. Also, what are the measurements? If you know how to measure the specific areas, use this example and fill in your numbers. 112cm (44") to back button. I wasn't sure what you meant by the top one sorry trying to learn as fast as I can. 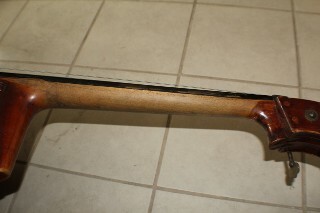 Crack length is 64cm (25") long starting at bottom near the end pin. I'm hoping maybe that's better? 43" is considered 1" longer than desired in USA today. 40.5"-42" is the accepted norm these days. 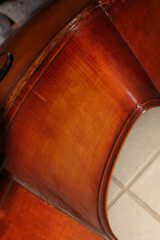 I have played longer but basses over 42" are more difficult to sell to Orchestra players and students. Ok. I really appreciate you looking at it for me. Thanks again.